Located on the southern shores of Lake Rotorua, the city of Rotorua is an excellent vacation spot. It was well known for its pink and white silica terraces as a result of the geothermal activity until the eruption of Mt Tarawera destroyed it. Tourism in Rotorua continued to thrive despite everyone presuming that it was gone due to this event. The waters flowing through the lakes had not only geothermal activity but also had healing powers. The success of tourism is attributed to the government investing in a Spa bath resort to tapping into this discovery. Other than the Rotorua Deport, some businesses in Rotorua prefer self-storage where they hire or buy containers. Most container traders will include the shipping cost into the quote. Car carrier shipping containers in Rotorua are also widely utilised. They are mostly plated to make them resistant to the extreme weather conditions. Some container traders provide these containers for storage of cars while others are involved in the process of transportation. 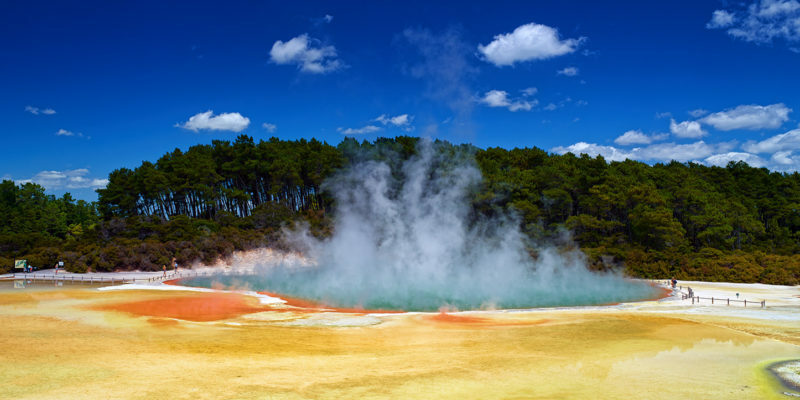 Rotorua has been classified as one of the most sought after cities in New Zealand to invest. With 2.9% of New Zealand GDP coming from the forestry industry in Rotorua, there is a lot of wood exported. The products are exported either as timber or as wood processed products. Also, a large number of dairy and deer products are exported. It is evident Rotorua does a lot of export and import. This explains why there are a lot of resources directed towards the maritime and shipping industry. The idea is to get more firms and companies into the shipping business. Another use of shipping containers in Rotorua is for relocation purposes. As mentioned above, this city is a destination for investors, and hence there is a lot of immigration. Shipping containers are used to move items of the individual from one place to another. This can be from New Zealand or a different country, with the latter occurring more often. Fortunately, the Town Council is well aware of the visitor/investor in flux and has set up information centres to help the immigrants settle in smoothly and fast. New Zealand is committed to making the town better by improving the lifestyle of the people and investors. The new policy of sharing container shipments is indeed being appreciated by those in the business of shipping containers.